This is a sponsored conversation written by me on behalf of Cricut. All reviews on my blog are honest and are my own opinions. I write all of my own posts. About a month ago, a box of goodness arrived at the Studio. Inside the box was a brand new Cricut Maker and lots of Cricut tools and supplies. I’ve had my eye on various cutting machines for some time. Cutting machines can definitely save time and energy, but the ones I looked into had limitations. Either I had to purchase dies that I might only use once or twice or I had to fuse my fabric to a backing material. And then I learned about the Cricut Maker. Storage space is a big issue for me. I love how compact the Cricut Maker is. When I’m not using it, it’s compact and fits on a shelf with space for all of my tools and gadgets. As a bonus, the design is sleek and has a docking slot that can hold your tablet or smartphone. You can also charge your device using a convenient USB port! You can seriously cut hundreds of materials quickly and accurately. Check out the full list of materials here. The maker uses various blades depending on what type of material you want to cut. 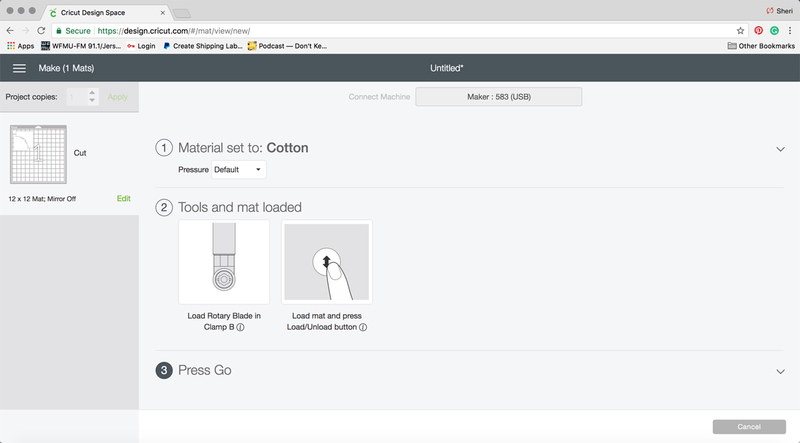 The Design Space interface evens walks you through which blade to use for the material you’re trying to cut. 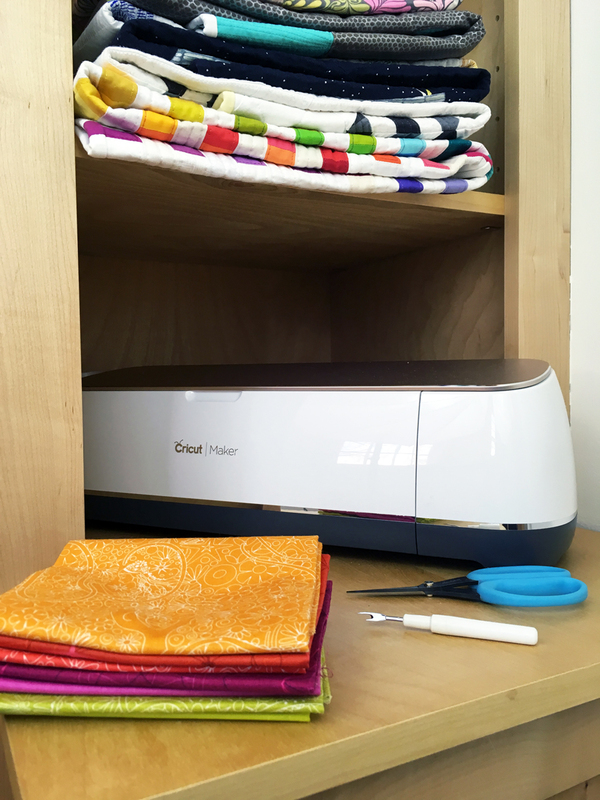 The Cricut Maker automatically detects the direction of the blade and matches the cut pressure needed to match the material you’re using. It has 10 times more cutting power than previous Cricut models. The Rotary Blade cuts fabric with no backing material necessary. 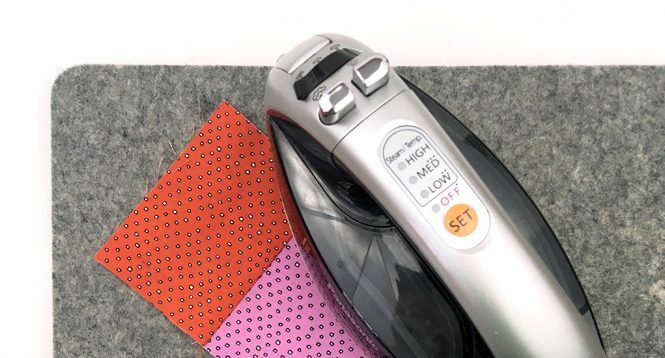 With its gliding, rolling action, this blade cuts through virtually any fabric and delicate paper quickly and accurately from the cotton fabric and paper to matboard and leather. The Fine-Point Blade cuts everything from iron-ons, cardstock and vinyl. Cricut will be introducing an additional blade designed for the Maker that will cut chipboard, balsa wood and heaver materials. This new blade is expected to be introduced later this year. You’re not limited to just cutting with the Maker! 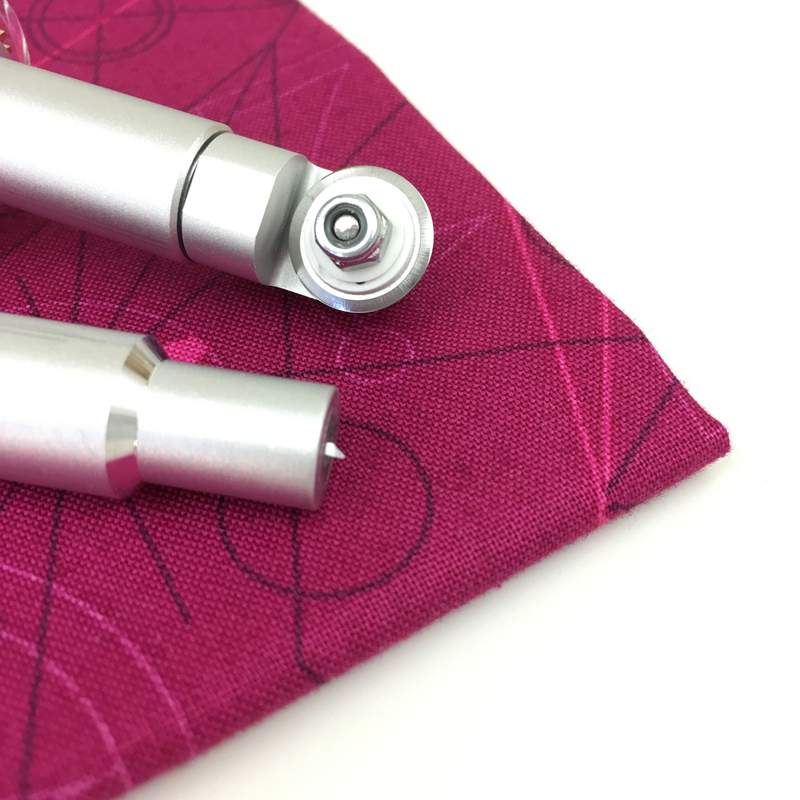 There is also a space for pens, making it easy to mark patterns (at the same time as cutting) with washable fabric pens (sold seperately). I’m a complete newbie to using a cutting machine. I find the owners manual and Cricut support website are easy to understand and comprehend. 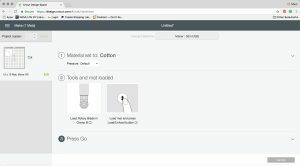 I also like the Cricut Design Space interface (how you program your machine to cut) because it is intuitive and easy to use. You can connect your computer or mobile device to your Maker. • choose from hundreds of patterns available, from quilts to stuffed animals. Pick a project, and the machine cuts all the pieces — easily and automatically. 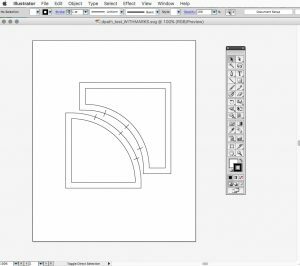 • design and cut your own shapes in the Design Space interface. 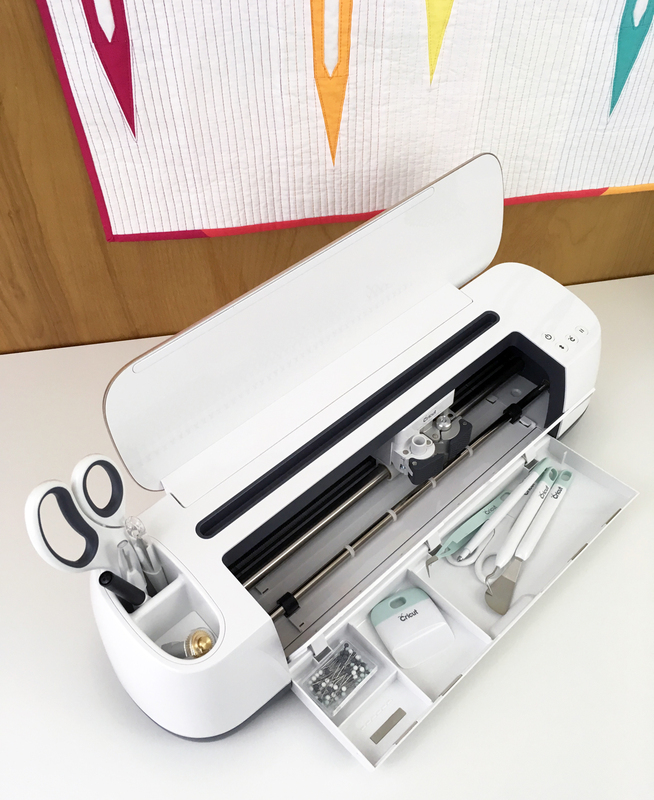 The Cricut Maker offers professional-level cutting performance. 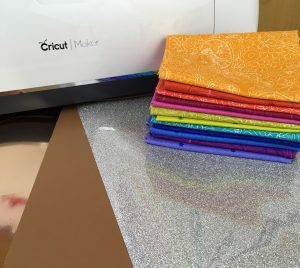 Materials are cut precisely, making your quilt piecing easier and quicker. Last week I was preparing to teach my “Learn How to Piece Curves” workshop. I needed to prepare some cut fabric pieces from my Picnic Petals pattern. 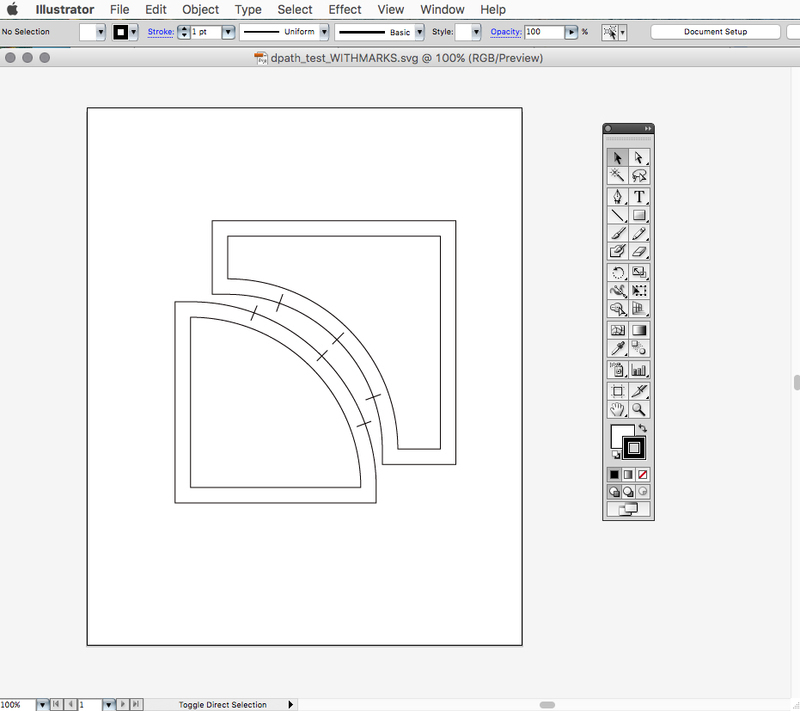 I uploaded my Adobe Illustrator files into the Design Space program and cut the pieces with my Maker. Check out one of pieces being cut in the video below. It is super fun to watch this machine cut and gratifying to remove your cut fabric from the mat when it is complete. • sample pack of materials for a first project. The Cricut Maker is $399.99 and is available at the Cricut website. The Cricut is also available at a variety of other retailers, including Amazon. 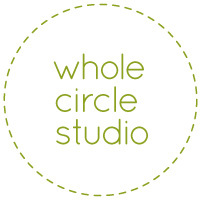 If you purchase the Cricut from these links, I will receive a commission at no additional cost to you. There are also lots of accessories (including a larger FabricGrip™ Mat measuring 12″ x 24″ enabling you to cut larger pieces of fabric) and materials available. I’ve been experimenting and have lots of ideas for how the Cricut Maker can be used in upcoming projects. 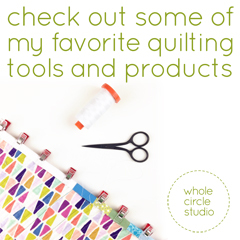 Next month I’ll be sharing a quilt project with instructions. Stay tuned! 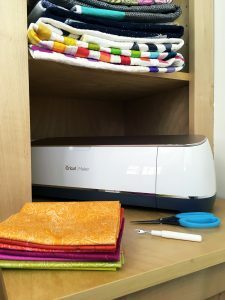 I adore my Cricut maker and can’t wait to see all the lovely goodness you make with yours! I haven’t gotten too crazy yet… but love the time it saves just trimming quilt pieces for me! Hi Christine. Yes! It definitely saves muscle power and makes super accurate cuts. Really helpful for curves and tricky shapes. Next Tuesday I’ll be posting about a project. 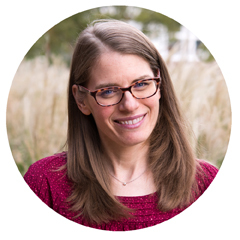 Stay tuned and thanks for reading the blog!